The one year widely accepted golden jubilee of the state dubbed as ‘Center of Excellence’ which was officially flagged off on May 27th by the propitious Logo unveiling and other razzmatazz held a colloquium lecture at the popular Lagos Airport Hotel on the 16th day of July in the year 2016. 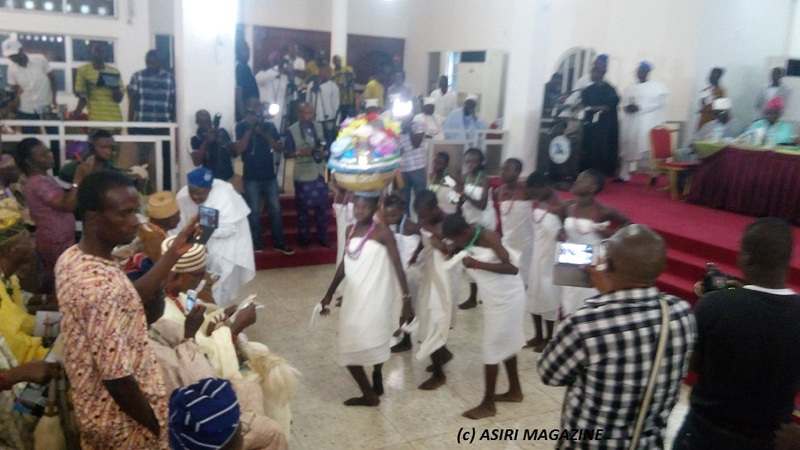 Sequel to the appropriately salted grand finale of the Children aspect of the festival and eventual selection for the most talented Child in Lagos, the lecture was hinged on Hidden Cultures and Multiple Identities in Lagos. This precedence was not out of place as it aptly attunes to the famous maxim ‘Give honour to whom it is due. Shortly before the National Anthem was played from an electronic device ubiquitously echoed by all persons in the hall, the indefatigable doyen of Art, Professor Wole Soyinka briskly walked in, acknowledging cheers from every corner and paying homage to the royal fathers. 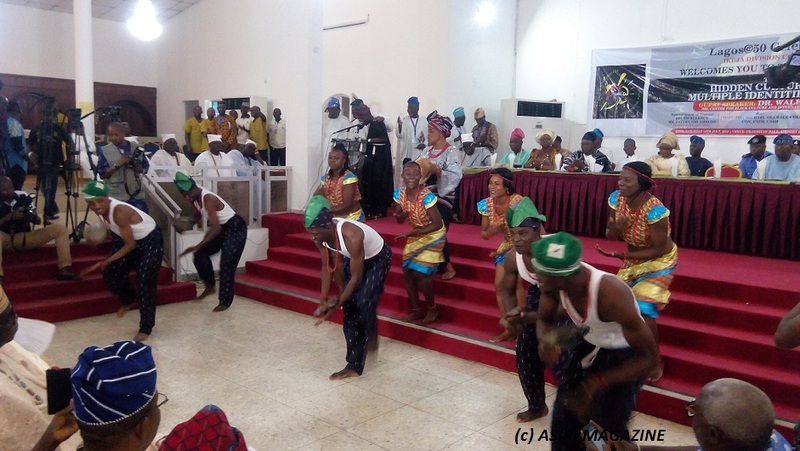 The eclectic performances from both the National Troupe of Nigeria and Footprints embossed the purpose for this grandeur convergence-poetry intertwined with folk-songs enacted by exquisite African dance-steps added much to the spectacle appreciated by rounds of applause. The brief opening remarks by the host, Chief Michael Olawale Cole was not all tucked by words only but it featured all members of the IKEJA local planning committee. 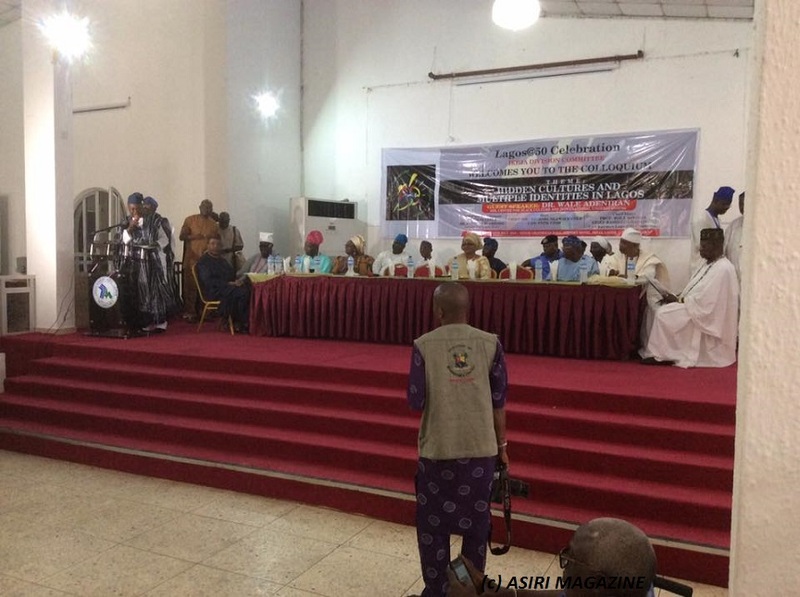 In furtherance, he stated that the LAGOS@50 lecture which commenced at the IKEJA communities that make up Lagos namely: Ikeja, Badagry , Ikorodu, Lagos Island and Epe respectively. He saluted the spontaneity and veracity employed by all members in putting up a good showcase against all odds of time and funds. 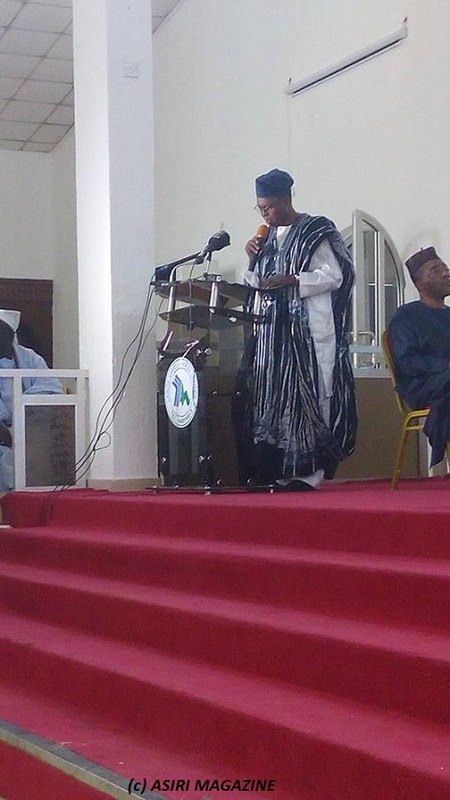 Short performances graced the well doctored and delivered speech whilst Mr Akin Adejuwon, DG of National Troupe of Nigeria introduced the guest speaker, Dr Wale Adeniran of the Centre for Black culture and international understanding at the Obafemi Awolowo University, Ile-Ife. The seasoned teacher, scholar historian par excellence delved into a potpourri of the Badagry origin as part and parcel of Lagos though not Yoruba speaking advent as the possible main stay of the economy if the inherent culture, arts and crafts are properly harnessed through workshop and regular festival of the Badagrians and their neighboring Beninoise and Togolese fraternities. 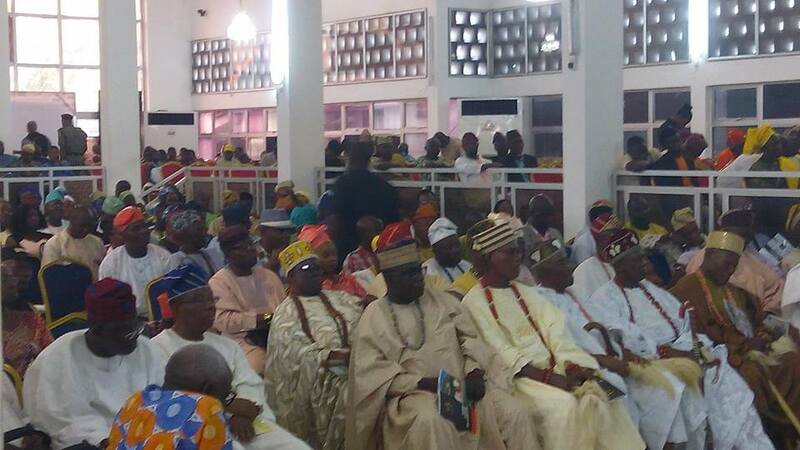 He further explained that the Egun, Seto and Defi languages are distinct but has been abused as same. 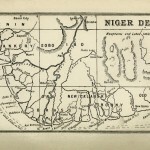 Consequently that migration, time and religion had forced the people to dilute their dialects with the Yoruba speaking, one which he pointed could endanger their dialects abs change the identities of the indigent Badagry people. Next was the governor’s speech as delivered by Mrs Olamide Giwason, the special adviser to the helmsman on housing matters. In the address, she expressed plenitude of gratitude to everyone who had worked towards the success of the event and hoping for brighter days ahead. 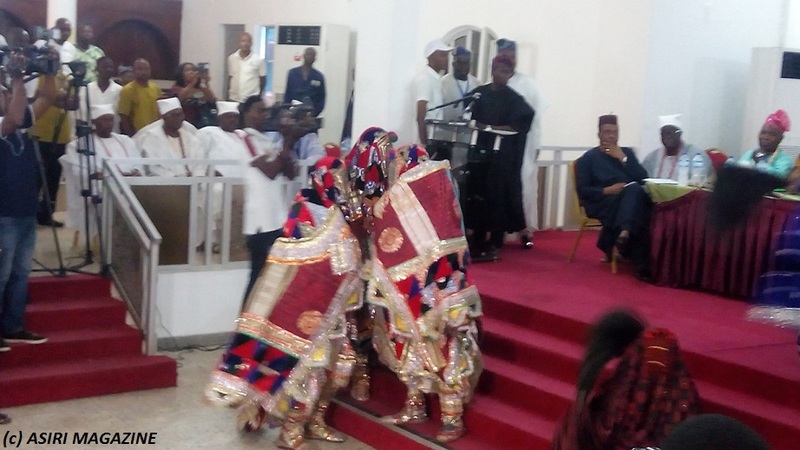 The Egungun masquerade parades with fluxing of colours and pomp as they unequivocally bowed before the monarchs present. The closing remarks by Chief Rasheed Gbadamosi and Mrs Ashimi brought the event to an end. 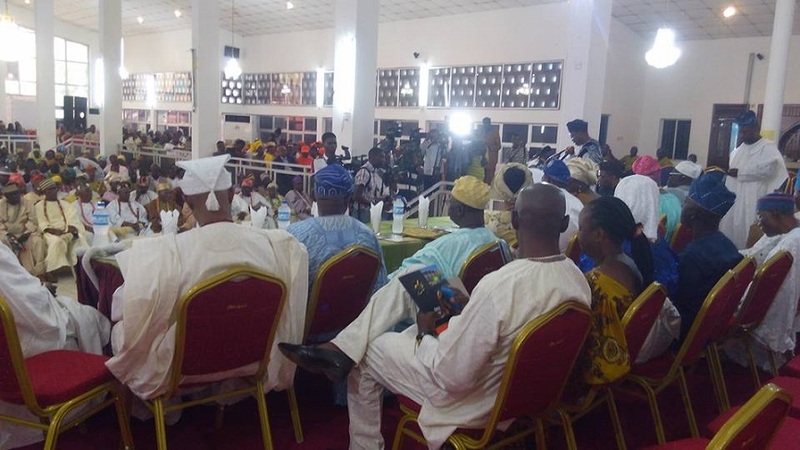 News, Trending LAGOS@50 Second Festival Colloquium: IKEJA Takes Turn.